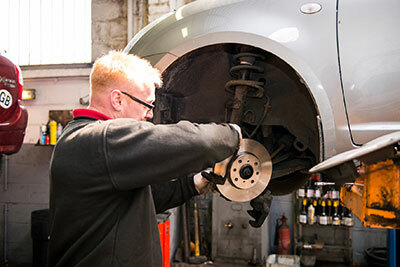 If you’re braking and hear a grinding noise your brake pads could be excessively worn and need to be replaced, this may also have damaged the disc rotors too. If your steering wheel pulls to one side when braking, this usually means a sticking or seized brake caliper. If it pulsates you could have a warped brake disc or drum. Any of the above symptoms can be easily fixed by our mechanics, give us a call to book your car in for a brake service on 01274 618093.